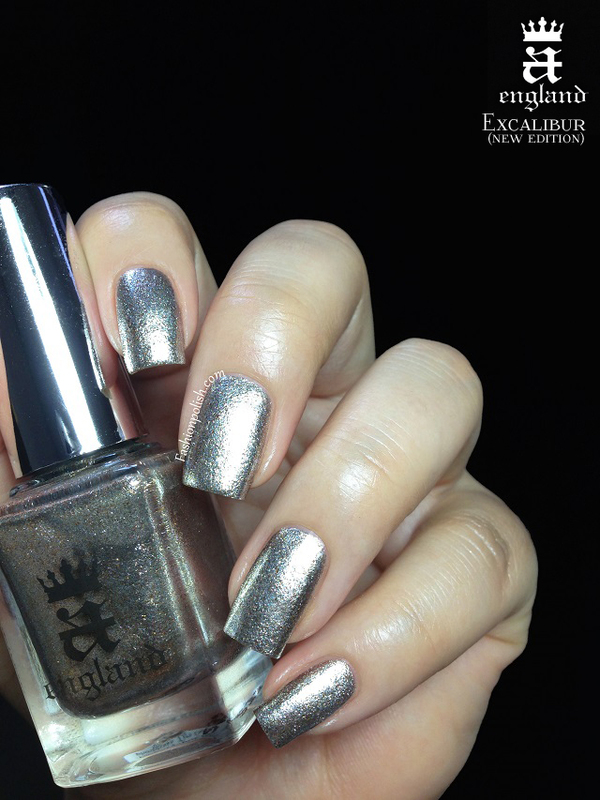 There's just something about Adina's creations; passion, creativity, uniqueness but also high quality, everything about them appeals to me as a nail polish enthusiast. 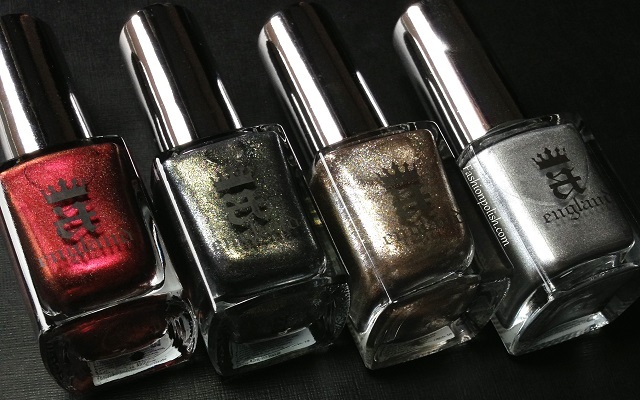 Today I have the 3 latest additions to the A England range : Briarwood, highly anticipated fifth Burne-Jones Dream shade, Love is Enough, latest Heavenly Quotes and finally Excalibur (new edition), completely re-vamped version of the silver that marked the brand's debuts. 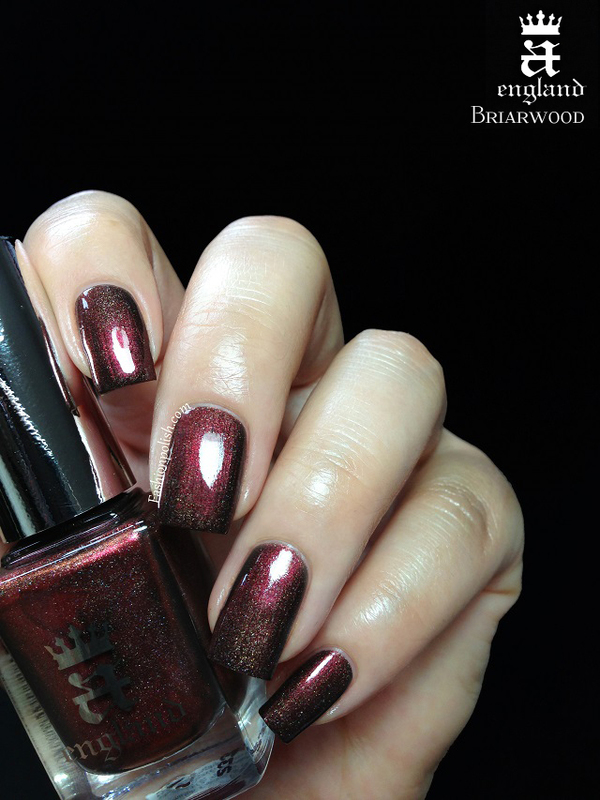 Briarwood (Burne-Jones Dream collection) is a deep marron red with A England's famous holographic effect, I love everything about it, the darkness, complexity, vampiness; all combined with a subtle but oh so beautiful holo, enough to give it to a whole new dimension... sigh.Thick but in a good way, offering a lot of control and high pigmentation, formula was flawless and if it wasn't for review purposes, I would have stopped at the first coat. Pictures below show 2 coats plus topcoat. 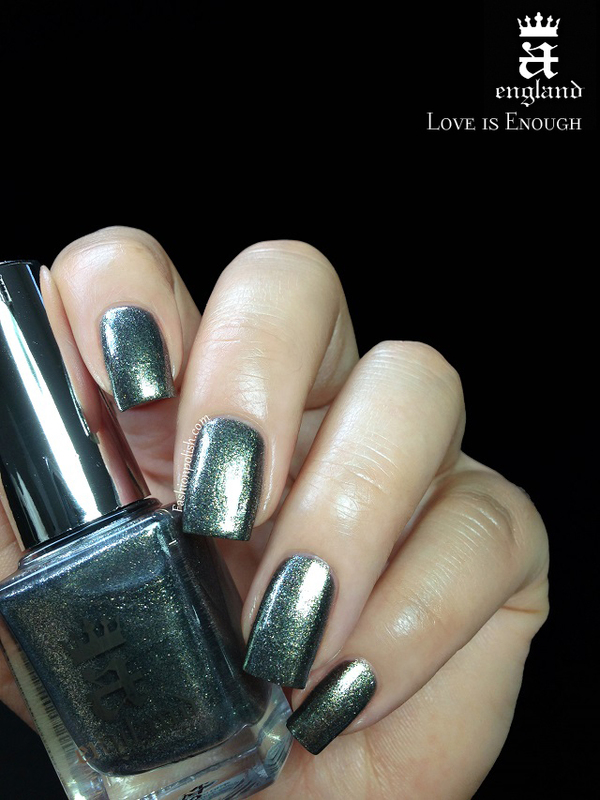 Love is Enough (Heavenly Quotes collection) is a grey-green-gold shimmer chameleon. 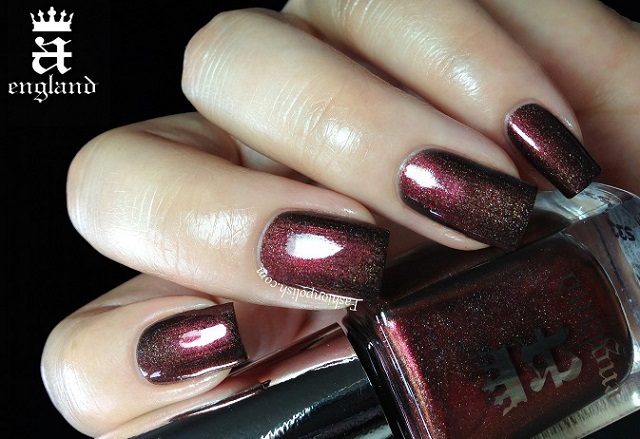 Extremely complex but well balanced, perfect to give a sophisticated and edgy touch to your tips. 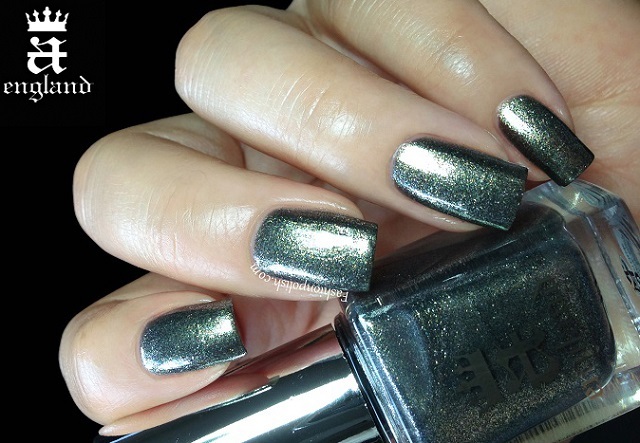 I've always loved greys and olive greens and this one's no exception. Formula-wise, it was thinner than Briarwood, applied evenly and effortlessly, showing zero brushstrokes. Two coats were necessary for complete coverage. Excalibur (re-vamped new edition) couldn't be more different from its first version. Silver indeed but completely counterbalanced by rich golden particles : mostly silver, often pewter or champagne, truly versatile. 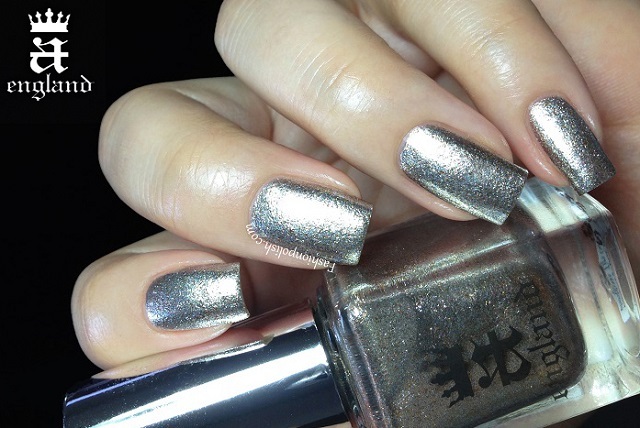 Application and opacity was very similar to Love is Enough and 2 easy coats was all it took for a completely opaque, brushstroke-free, finish. I feel like each and every one of my A England reviews end the same way : these are all complex and unique colors, if they appeal to you then you won't regret your purchase. Having ever tried the brand before you know its quality never disappoints. 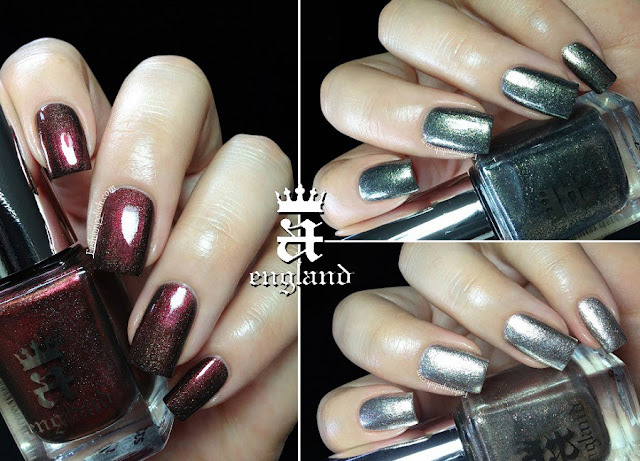 A England is available for purchase within UK directly on a-england.co.uk (£9 each) but also worldwide through the brand's online retailers (full list here).